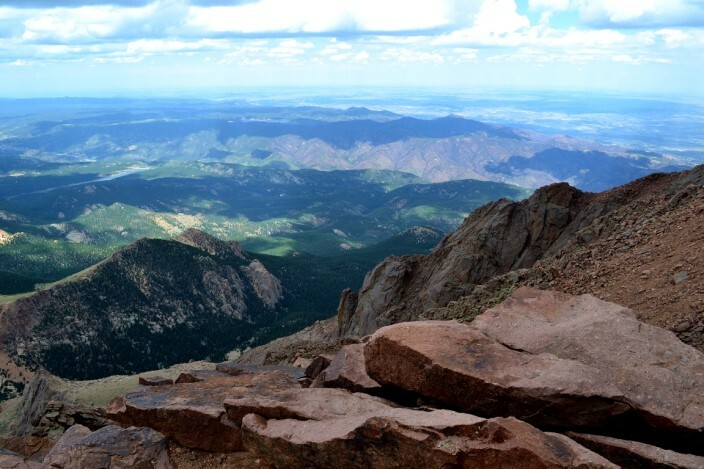 Pikes Peak is one of those names that is synonomous with Colorado, and to some extent, with America itself. 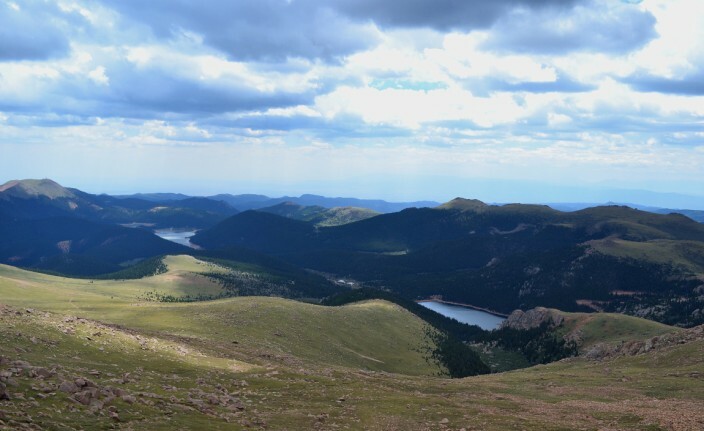 It is the easternmost 14,000 foot mountain in the country, and it certainly must be the most easily accessible 14,000 foot peak in the USA, if not the entire world. If your hankering for a trip to the top, you have your choice of transportation modes to get there. 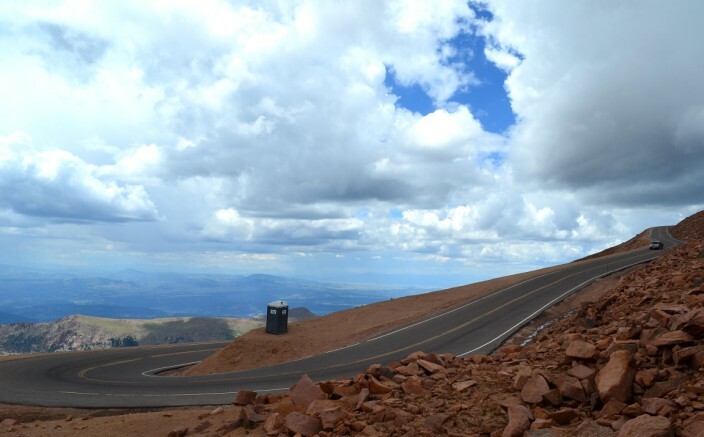 Starting from the town of Cascade on Highway 24, you can drive your car 19 miles on the famous Pikes Peak highway, home to the annual Pikes Peak International Hill Climb, second oldest car race in the country consisting of a 12.4 mile course with 156 turns and ending at the 14,115 foot summit. 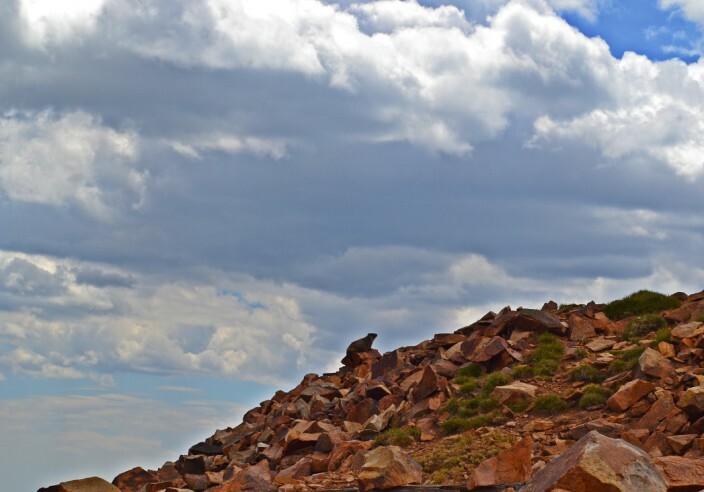 Or if you prefer to do it the hard way, you have your choice of hitting the Barr Trail on foot or bicycle, which, while not a challenging climb in the technical sense, still covers 8,000 feet of elevation gain along an arduous 13 mile long trail. 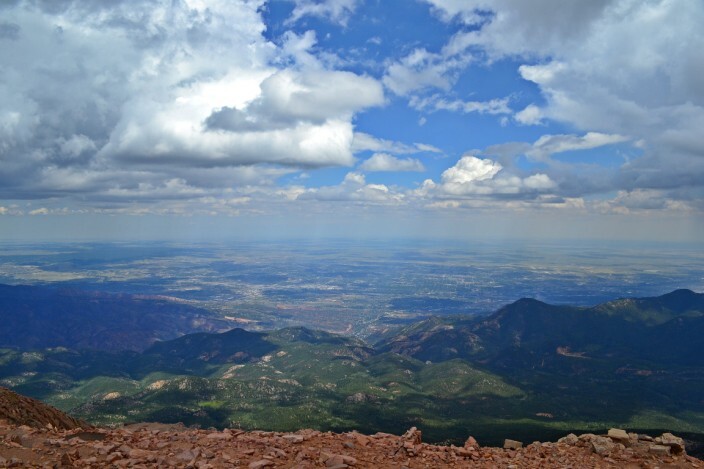 It’s also home to the annual Pikes Peak Marathon for runners/walkers. Sounds to me like only masochists need apply, but then I feel that way about all marathons. 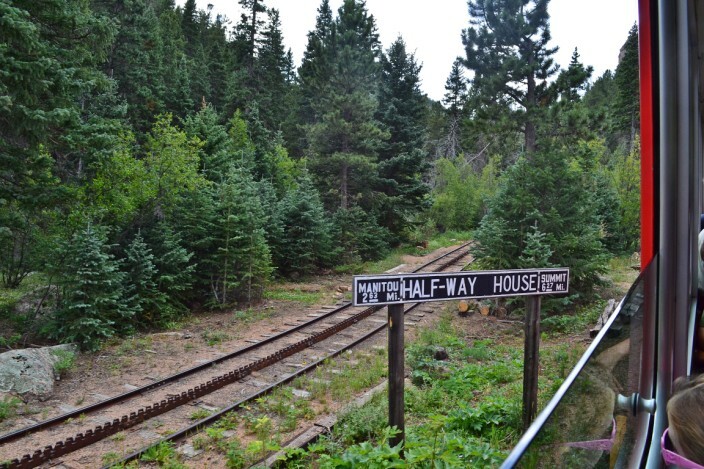 A third option, and the one we took, is the Manitou and Pikes Peak Cog Railway, which bills itself as the world’s highest cog rail line. 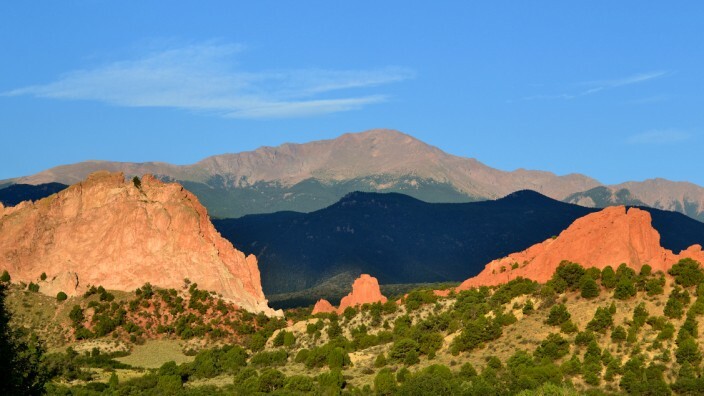 It begins at the small town of Manitou Springs just west of Colorado Springs, and ascends to Pikes Peak over the course of 8.9 miles during a round trip of approximately three hours and fifteen minutes. The journey isn’t cheap, but neither is it exorbitantly expensive, about $35 US for adults. Student and children tickets cost significantly less. 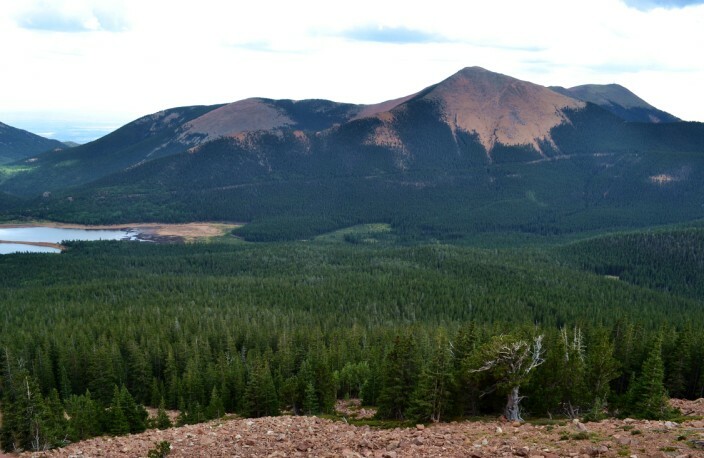 Pikes Peak is named for Zebulon Pike, who first attempted to climb the “Great Peak” as he called it, in November 1806, while exploring the area as a Lieutenant in the Army. He and his band of men encountered deep and impassable snow at about the 10,000 foot level and turned back. News flash for you, Zeb: try July or August when the mountain is bereft of snow and you might have better luck making the summit. 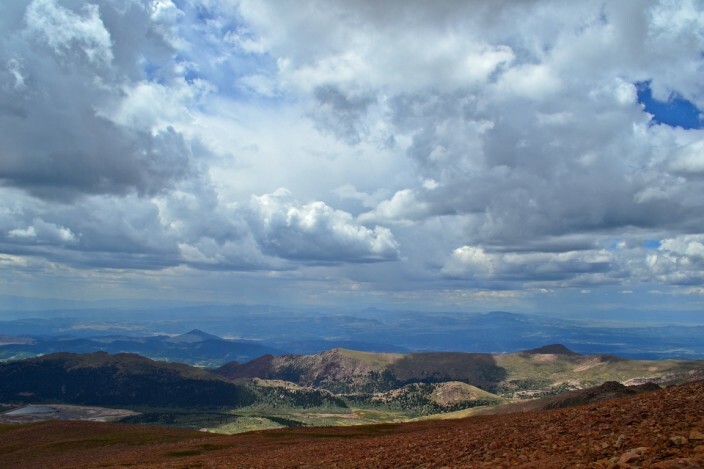 The first documented trip to the top was made by a botanist named Edwin James in 1820, a climber who’d already summited many of Colorado’s highest peaks. By the mid 1800’s a trail to the top was well established. 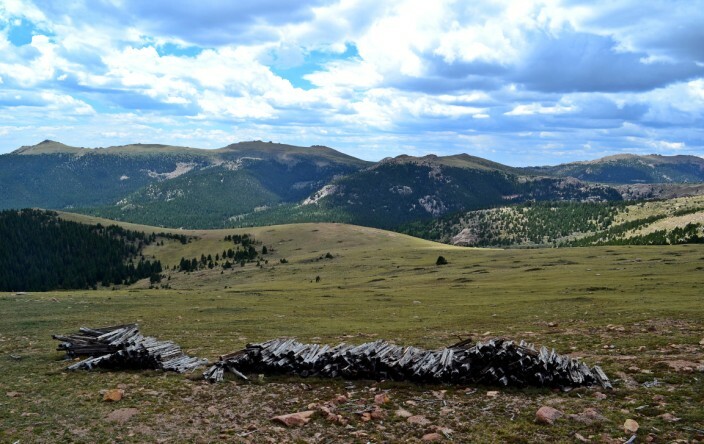 But long before all of this, it’s thought that many Ute Indians climbed to the summit during their annual migrations from summer campgrounds to winter hunting grounds. 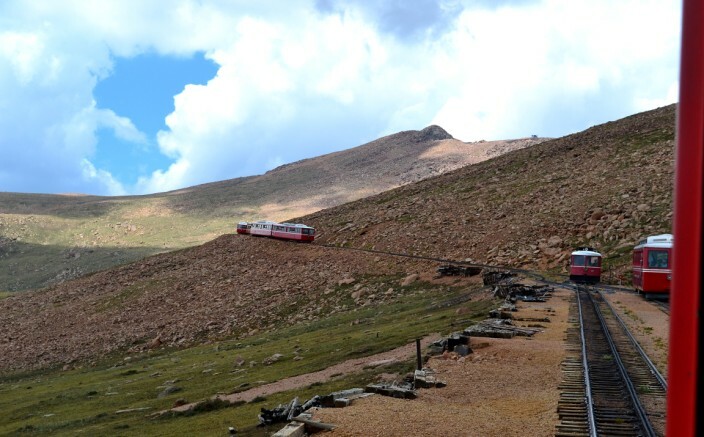 So what exactly is a “cog” railway, and how does it differ from conventional rail lines? Glad you asked. Conventional railroads are called “adhesion” trains and simply operate on the principle of friction from the wheels to the rails to provide power. Adhesion trains can only climb a grade of four to six percent, with occasional short stretches of up to nine percent. A cog or rack rail system uses a notched “cog wheel” meshing into a special rack rail (mounted in the middle between the outer rails) to climb much steeper grades than those possible with a standard adhesion railroad. Most of the world’s cog rail lines are in Switzerland, and the steepest can climb at an amazing grade of up to 48 percent. 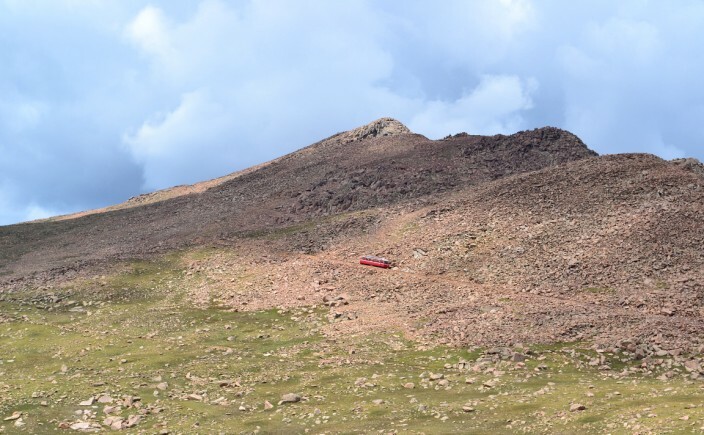 The Manitou and Pikes Peak line maxes out at about 25 percent, still plenty steep enough. The big tradeoff, of course, is in maximum speed attainable, as cog systems must operate at a much lower speed than adhesion lines or run the risk of the cog wheel popping out of the rack rail. Top speed on the Manitou line is only about nine mph, but since this is strictly a sightseeing tour, the low speed is actually a good thing and affords ample time to ogle the spectacular scenery as it rolls by. 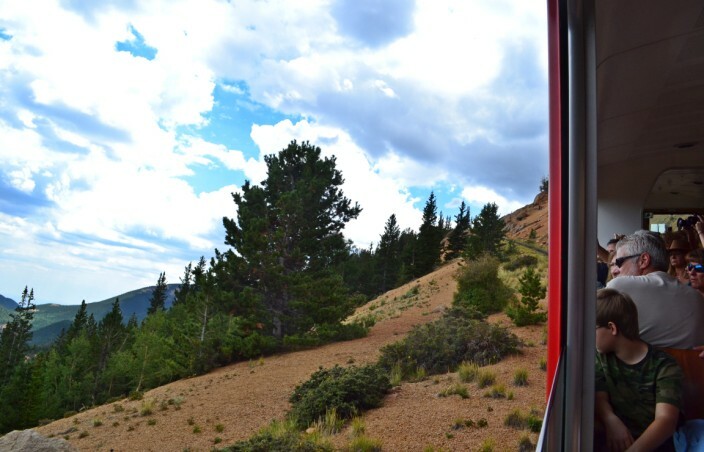 The train has large, adjustable windows which can be opened and are suitable for pointing your camera through if you’re wanting to document the uphill trek. But as these windows do let in a lot of increasingly cold air as you ascend, a lot depends on how well your seatmates are dressed for the trip. We saw plenty of folks who started at the station wearing only t-shirts donning sweaters and jackets as we gained elevation. No matter how hot it is below, it will always be colder on the peak, so bring enough clothes to stay warm or you will spend you entire time at the summit huddling inside the shops. 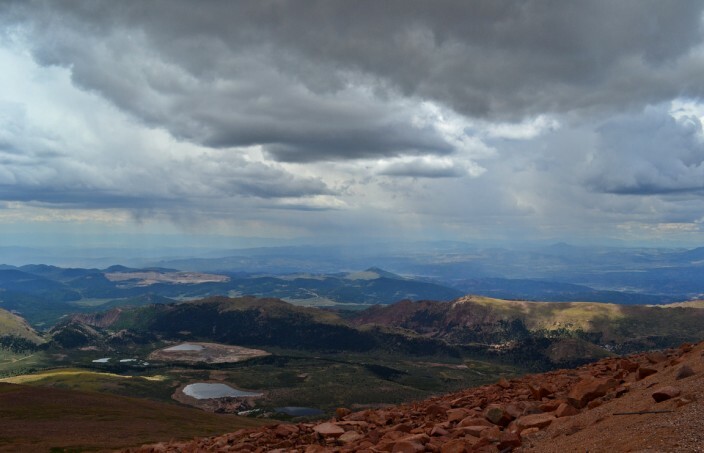 On the day we visited, a rainstorm blew in from the north just about the time we departed for the trip back down to Manitou Springs, a common occurrence in the summer months. 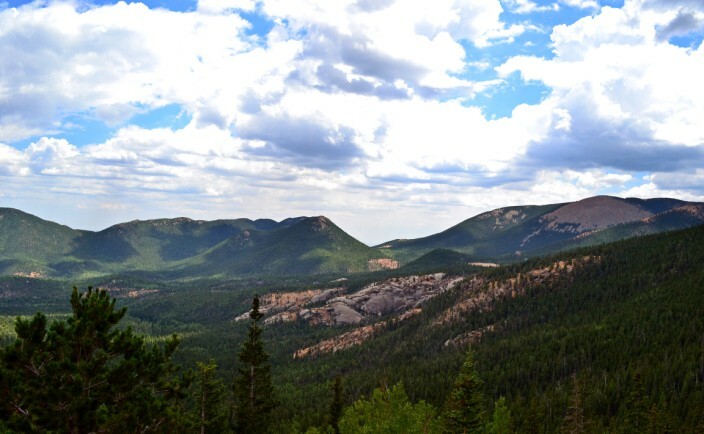 Not only does the temperature drop as you climb, but the landscape changes dramatically as well. 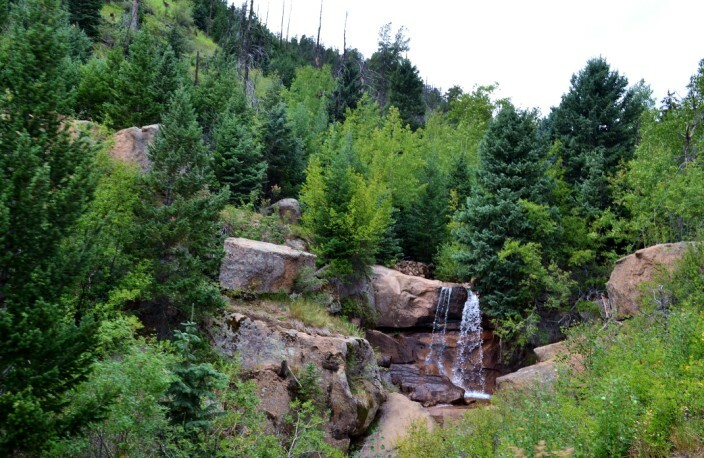 The first third of the trip is along Ruxton Creek in Englemann Canyon, through thick spruce and Ponderosa pine forest, with boulder fields on either side. At about the halfway point the trees thin out to allow for more expansive views of nearby lakes and peaks. Bristlecone pines seen from the train are among the longest-lived things on Earth, some of them around 2,000 years old! The last third of the trip is above timberline and on a clear day it seems like you can literally see forever. 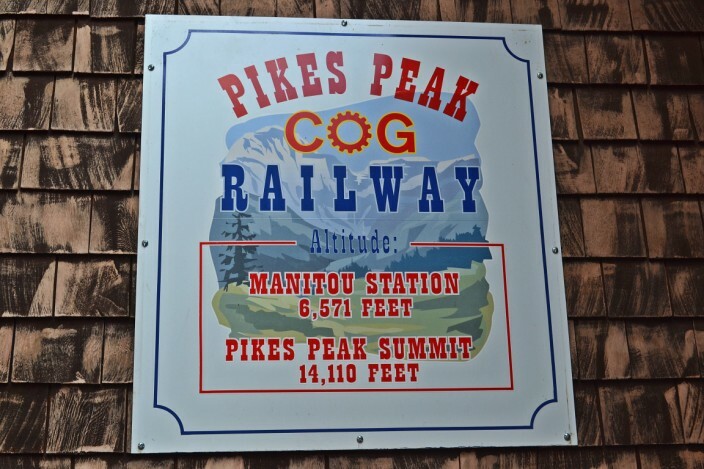 My chief complaint – and really the only one I have – with the cog train trip is the short amount of time spent at the peak, about 45 minutes, which passed all too quickly for us. Other than a five minute dash through the gift shop, we spent the entire time outside gaping at the jaw-dropping views and taking photos. However, I must say that there honestly isn’t a whole lot else to do. 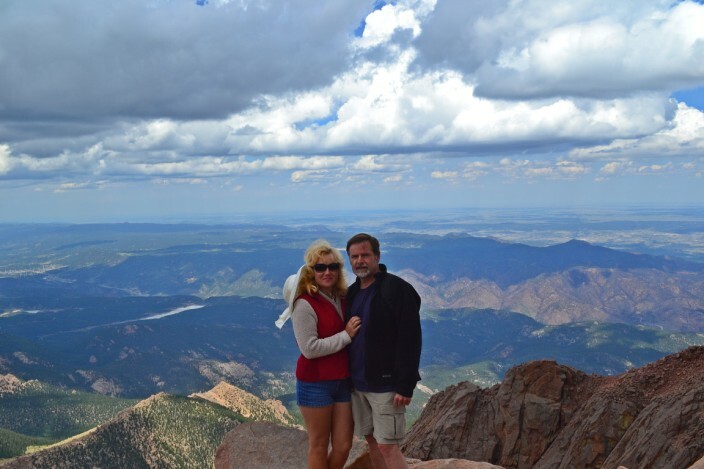 If you really must spend more time inside touristy gift shops perusing/buying tacky knick-knacks and overpriced fast food, there’s plenty of places to do just that back in Manitou Springs. The summit is treeless, cold, and windy, and once that wind starts kicking up dust and whipping it in your face, 45 minutes starts to feel about right. I spent ten or fifteen minutes jogging from one vantage point to another with two objectives in mind: one, to cover all my photographic bases, so to speak, and two, to see just how dizzy I could get from a little exertion at this altitude. Granted, the latter may have been tempting fate to the point of foolishness as the lack of oxygen can cause serious health issues for sea-level dwellers like myself. But I figured what the heck, when’s the next time I’m going to be above 14,000 feet with both of my feet on the ground? Well, I survived with little or no damage, a little out of breath and some slight pounding in the temples the only obvious signs of the altitude, but hey, sometimes I feel like that just getting out of bed in the morning. 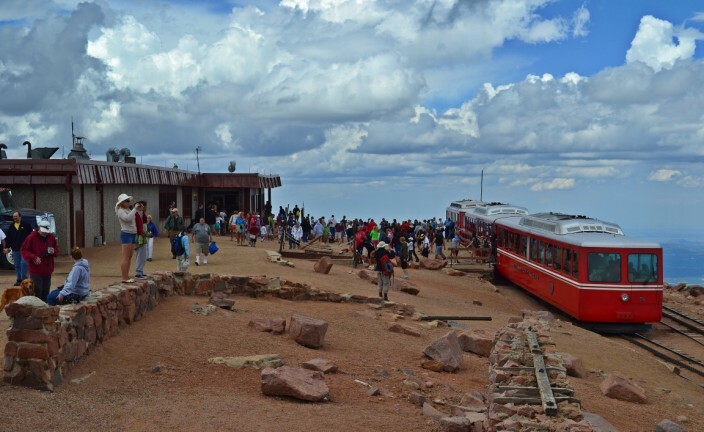 All in all, the summit of Pikes Peak is one of those All-American destinations you simply can’t pass up if you are ever in the Colorado Springs area, and for us, doing it via the cog railway was the right choice. Try it and I don’t think you’ll be disappointed.